William (Bobby) Dobbs on right. See note below. Photo copyright of David Brookfield. 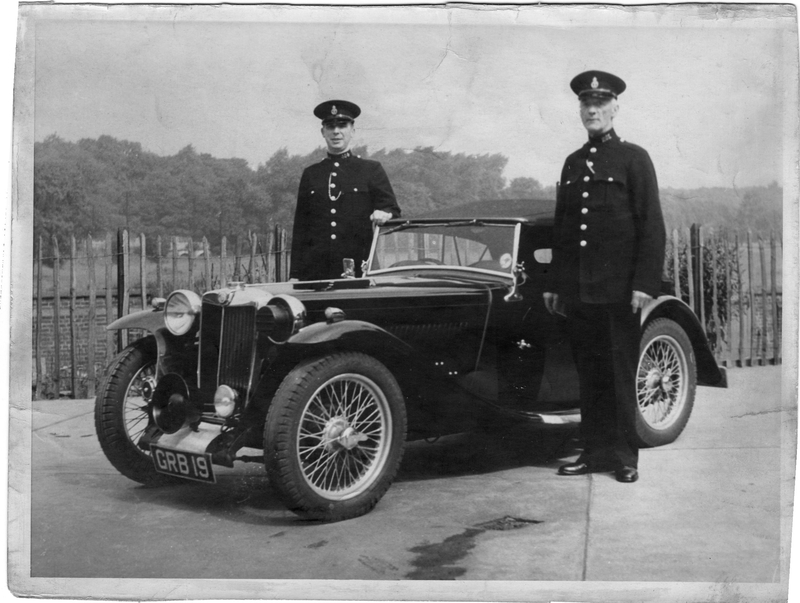 William (Bobby) Dobbs on right – my Grandad and local village policeman. He was the longest serving officer on the Derbyshire force having served 47 years up to retirement.